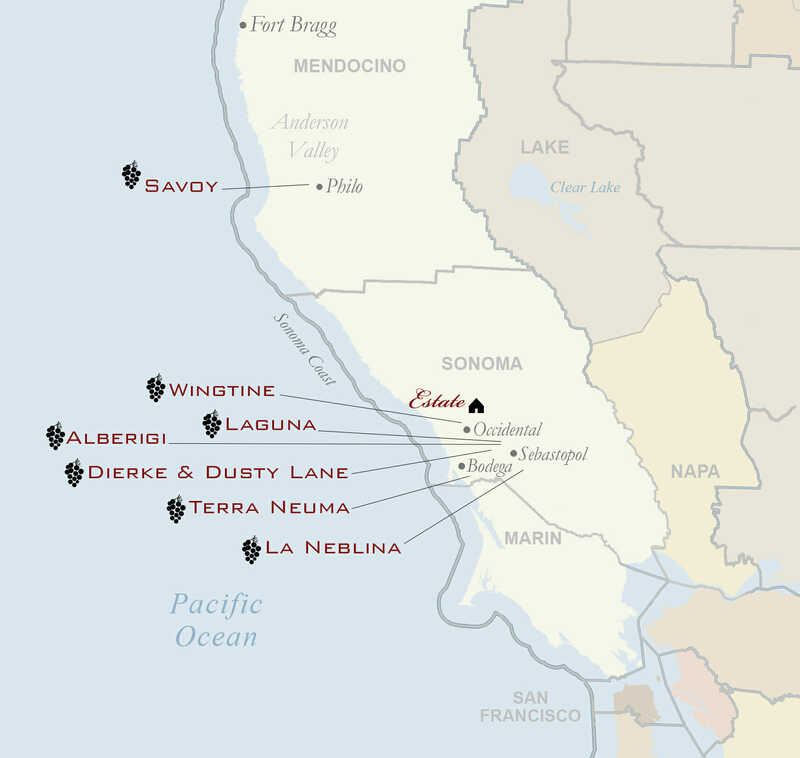 Although influenced by the cool breezes of the Sonoma Coast, the estate is part of a small “banana belt,” which results in a longer growing season that doesn’t experience the same hard frosts of the valley floor. We strive to be good stewards of the land by embracing sustainable practices, which include planting a diverse array of native plants and fruit trees. In recent seasons, we’ve planted vegetable gardens to provide food for our staff and a select group of local establishments. As a complement to our winegrowing, the apple trees on the property provide fruit for our native-fermented, unfiltered, and rock-bottom dry Eye Cyder, which can be found locally on tap. To complement the diverse array of plants, we raise goats, chickens, honeybees, cats, and heritage turkeys. Animals are an important element of our farm, as they are another essential component of our agroecosystem. 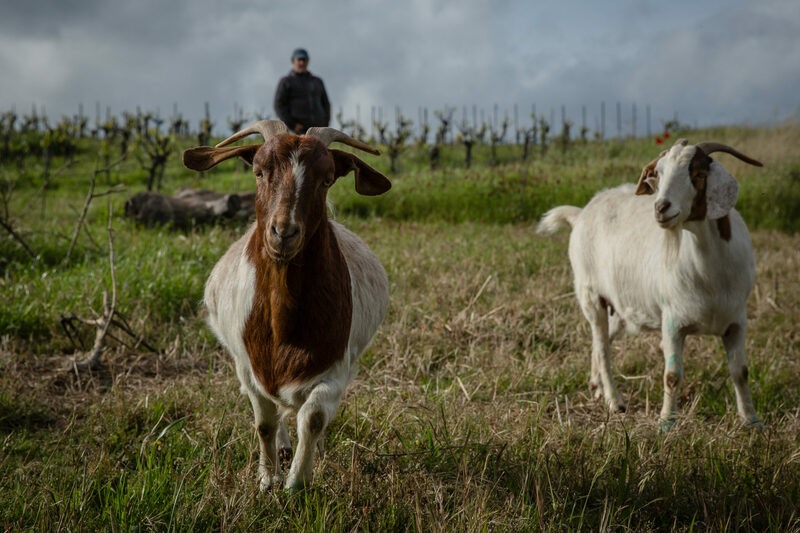 They add balance to the environment by grazing, feeding on invasive species, and controlling pests, while returning valuable fertilizer to the vineyard and garden soils.